Having already announced the likes of Solange, Arcade Fire, Erasure and many more, Roskilde has now added a new set of names to the lineup for this year's edition, with A Tribe Called Quest and Show Me The Body leading the new wave of acts. 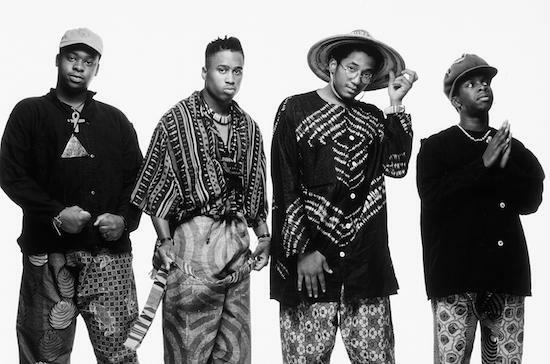 A Tribe Called Quest's set will mark their first European show on their farewell tour following the death last year of Phife Dawg and the release of their comeback album, We Got It from Here… Thank You 4 Your Service, late in 2016. Also set to play are Bryson Tiller, Gucci Mane, Oranssi Pazuzu, Lorde, Against Me!, High On Fire, Priests and more. They join a bill which also already includes Angel Olsen, Jenny Hval, Kano, Hieroglyphic Being and many more. The festival takes place, as expected, in the city of Roskilde, west of Copenhagen. It runs this year from June 24 - July 1. To check the full lineup as it stands, get more information and purchase tickets, click here.